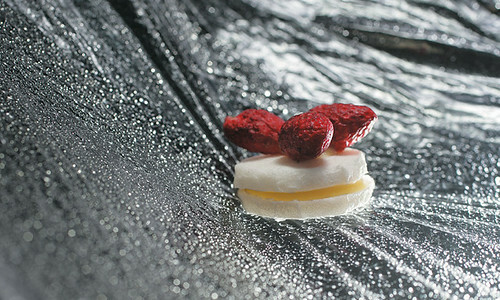 Foodies all over the world know about El Bulli and the revolution in cuisine that it spawned. To the rest of us, here’s a short crash course. 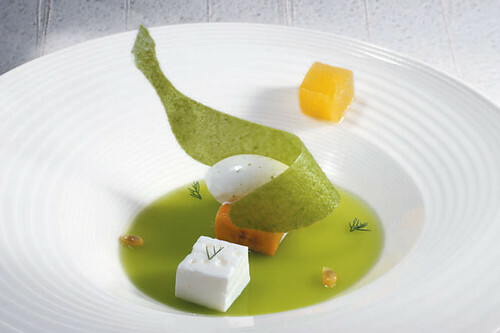 El Bulli is a restaurant located in Roses, on the Costa Brava, in Catalonia, Spain. Although it has been around since the early 1960’s, today it is associated with Ferran Adrià, one of the best chefs in the world and currently ranked No. 2 according to the European Restaurant Ranking. 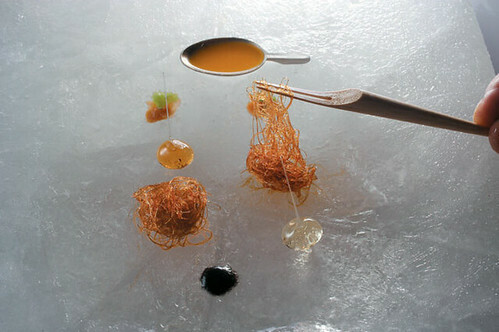 Adrià pioneered the culinary genre of “molecular gastronomy“, a type of cuisine that features the application of science to culinary practice and more generally, to gastronomical phenomena. Proponents of the genre include Heston Blumenthal at The Fat Duck (Berkshire, England), Grant Achatz at Alinea (Chicago), Jose Andrés at Minibar (Washington, D.C.) and Richard Blais at One Midtown Kitchen (Atlanta). In New York, Chef Wylie Dufresne is Adrià’s local disciple at wd-50. 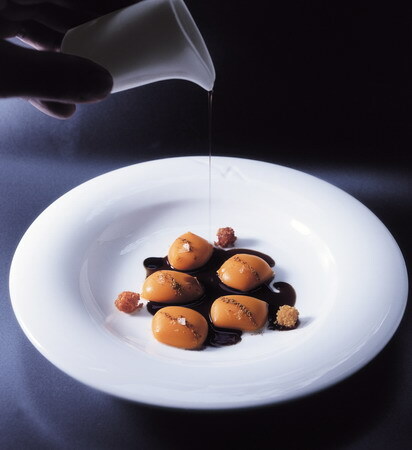 Click here for a Q&A conducted with Chef Adrià on eGullet in December 2004. 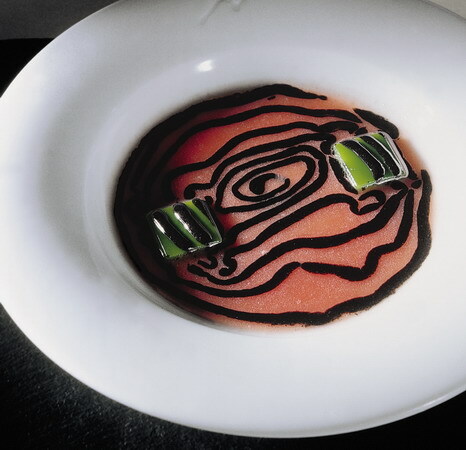 In the meantime, here are some pix from El Bulli’s photo archives that are representative of the genre. Think of it as a teaser of things to come. 02 Sep	This entry was published on September 2, 2006 at 1:58 am and is filed under eGullet, food, general. Bookmark the permalink. Follow any comments here with the RSS feed for this post.